From Christmas trees like Rome's "Spelacchio" to projects to fight pollution through urban forestry, trees make news, and not only those in Rome which have been neglected and fall across downtown streets. 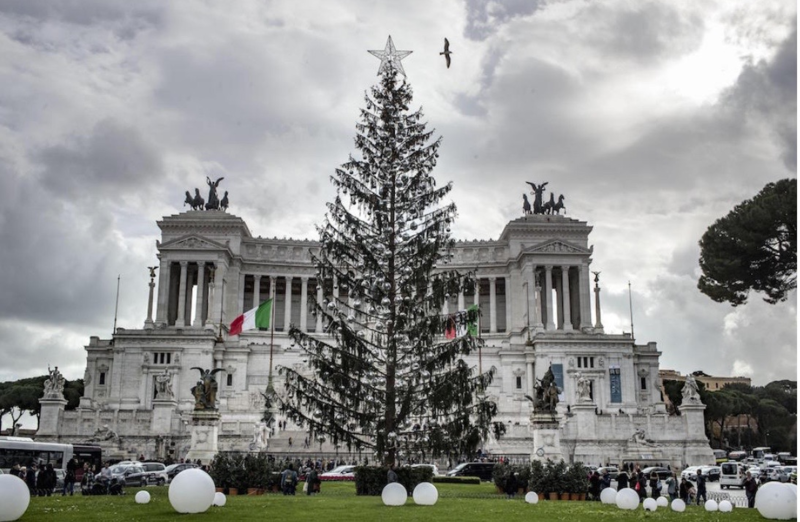 ROME -- From Christmas trees like Rome's "Spelacchio" to projects to fight pollution through urban forestry, trees make news, and not only those in Rome which have been neglected and fall across downtown streets. To begin at the beginning, no sooner was it hoisted into place last year at Piazza Venezia, the very heart of Rome, than the official Christmas tree, a donation from the Val di Fiemme in the Trentino in North Italy, began to shed its needles. Almost instantly it was scathingly nicknamed "Spelacchio," which translates more or less to "Mangy" or "Baldy." 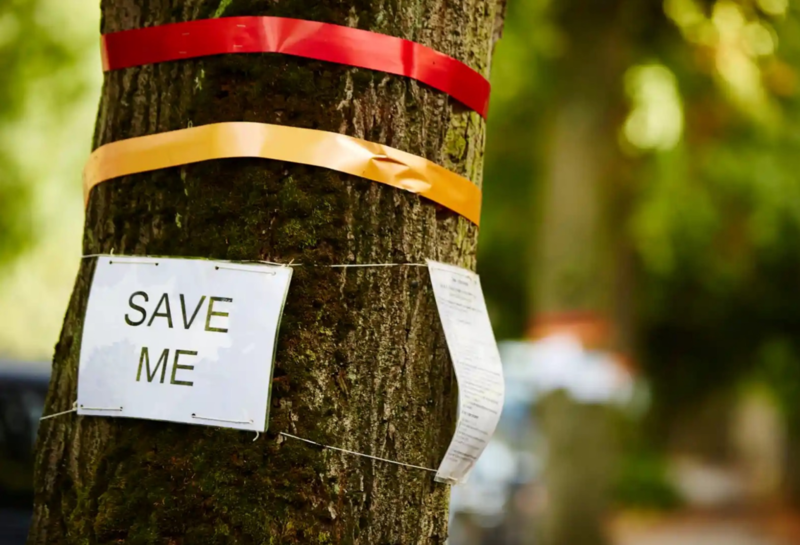 The City of Rome, and especially Mayor Virginia Raggi, elected by the Movimento 5 Stelle, was criticized for having made a poor selection and for allegedly failing to keep the tree in good condition during the holidays. 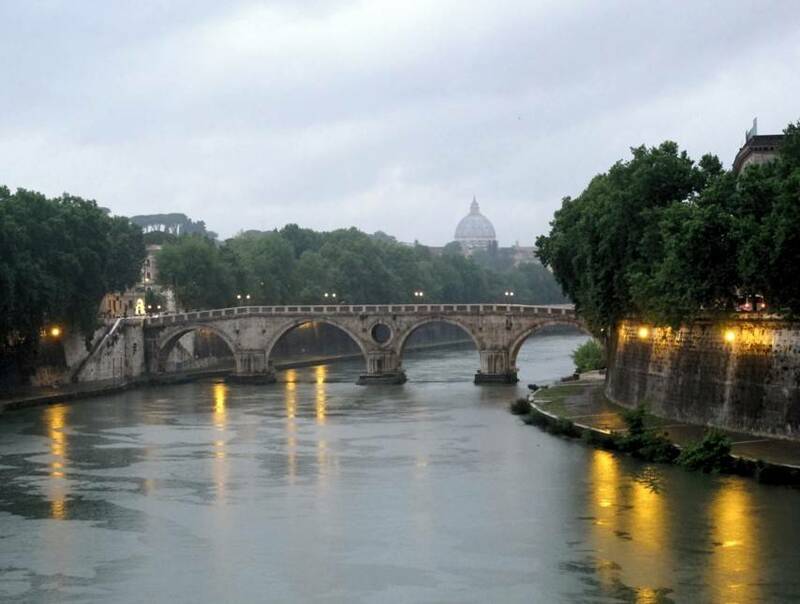 In so doing she "caused damage to the image of Rome," according to the ANSA press agency. So derided was the tree that it was given its own Twitter profile, #Spelacchio, which invited Christmas tree lovers to donate decorations to improve its glum look. A sardonic Facebook page was also invented (ok, fake news). One of the Facebook pages carried a satirical photo in which Pope Francis sarcastically asks Mayor Raggi: "And I suppose now you want to make a Christmas creche?" When it was at last being taken down after the holidays, a little crowd gathered, pretending they were mourners at the poor tree's funeral. To avoid a repetition, this year the Rome city fathers and mothers have turned to a fancy sponsor, Netflix (watch the video) which allegedly is spending over $400,000 for a Christmas tree worthy of Piazza Venezia. "We expect it to be much more fun and spectacular," predicted Corriere della Sera, "even though admittedly we had become fond of Spelacchio. In the end it was dried up and sorrowing but in the end more amusing and 'human.'" The new tree, which will be raised in Piazza Venezia Dec. 8, is 21 meters tall and will be decorated with 600 glass balls and 3 km. of led lights. In Val di Fiemme, meanwhile, which spent over $55,000 to have Spelacchio dug up and shipped the tree and to Rome, the debate over who was to blame continue. Elsewhere year-round trees are also attracting media attention. 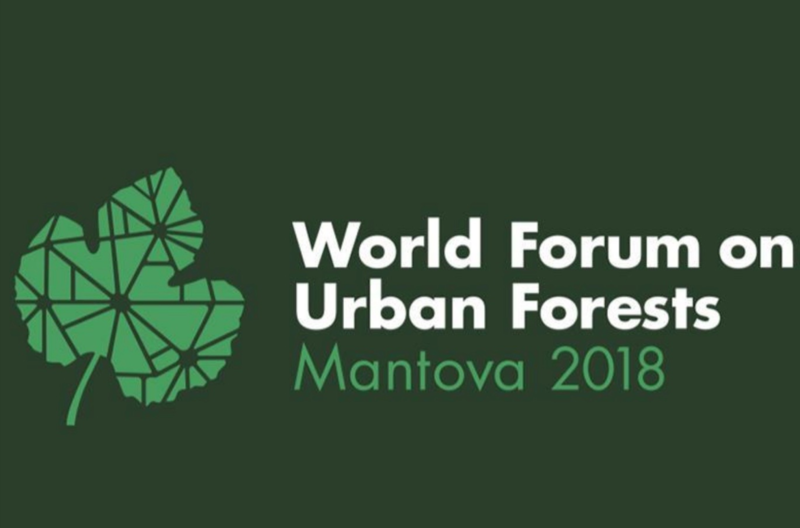 From Nov. 28 through Dec. 1 the city of Mantua hosted the first Forum mondiale sulle Foreste urbane (World forum on Urban Forests) whose goal was to promote healthier and greener cities. Participating were representatives of governments worldwide and of non-governmental organizations (NGOs), of research institutes and universities, and of city planners and landscape architects. Other organizations: the Food and Agricultural Organization of the UN (FA) and Urban GreenUP. The goal is to foster, including within crowded cities, the planting of trees in order to promote a healthier planet. According to the organizers, "The aim of this first Forum is to highlight positive examples of planning, design and management approaches of cities with diverse cultures, forms, structures and histories, which have used urban forestry and green infrastructure to develop economic and environmental services and to strengthen social cohesion and public involvement." Discussions focused upon how best to transform big cities from producing to reducing pollution. For the experts, one hectare of well maintained urban forest can absorb 300 tons of carbon dioxide, in the same way as do pluvial forests or tropical jungles. The reason: the urban trees tend to be younger and hence, requiring more nutrition, absorb more CO2. A single large tree suffices to guarantee oxygen for four people. The trees also reduce heat in the summertime by from 2 to 8 degrees C., according to Luciana Grosso, writing in L'Espresso of Nov. 30. 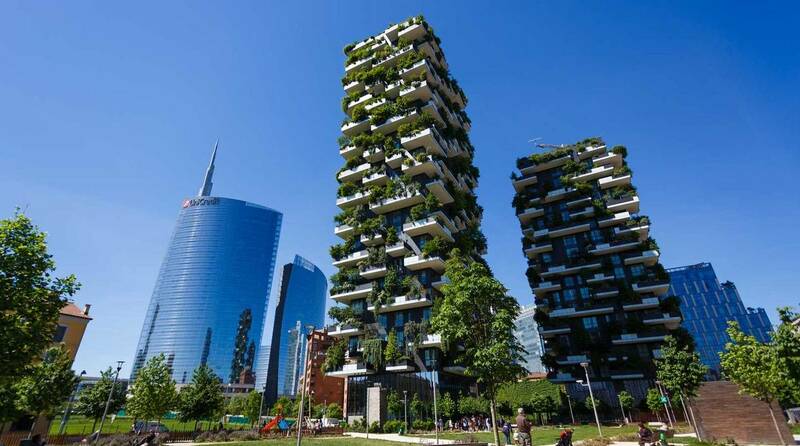 Italians point out proudly that during the past 50 years the number of trees planted in cities as well as in the countryside has actually doubled. (This reporter has personally planted more than 30.) Paris is a model, planning 30 hectares of new public green space plus 20,000 new trees and 100 hectares of vegetation on rooftops and walls within the next two years. Madrid has announced plans to have vegetation planted atop public buildings. At Sabbioneta in Italy, Panguaneta, major producer of plywood panels, is working with Openfabric for the green installations called "Into the Forest". The installation at Mantua -- a centerpiece of the World Forum there -- features two huge basins placed at the famous Piazza Erbe and Piazza Mantegna. Each contains a selection of different plants which can be introduced into cities. At Piazza Erbe are trees, mostly evergreens, associated with the seaside; at Piazza Mantegna, a woodland from the plains. "We are aiming for the long-range development of urban forest strategies and a greener future," according to Miriam Tenca, from the marketing staff of Panguaneta.